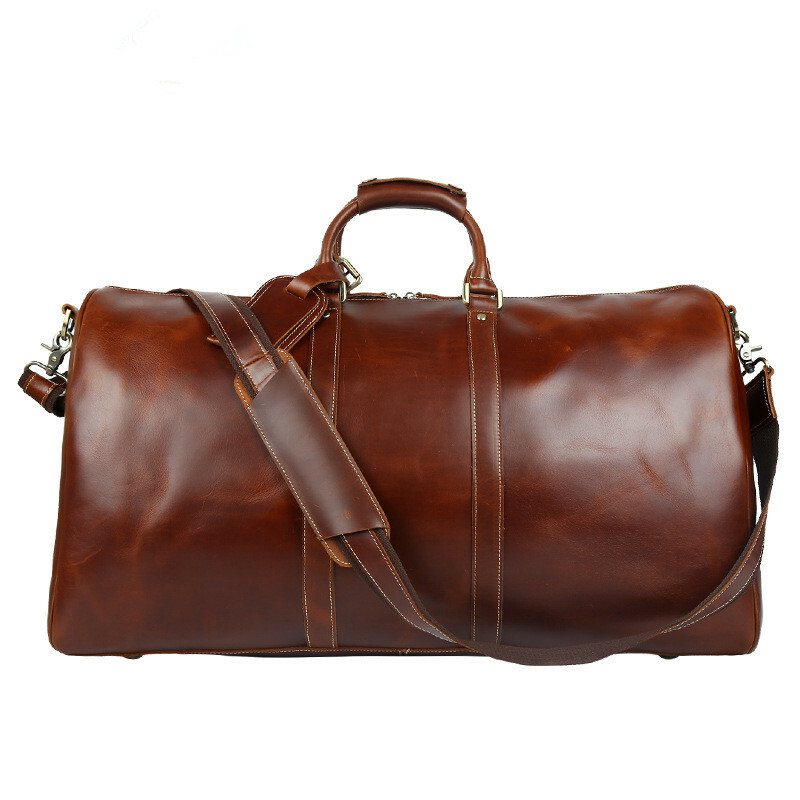 This duffle bag is crafted from 100% genuine leather, goes through vegetable tanning process that helps retain the natural characteristics of the material, while making it flexible yet durable. It is nature friendly and recyclable. 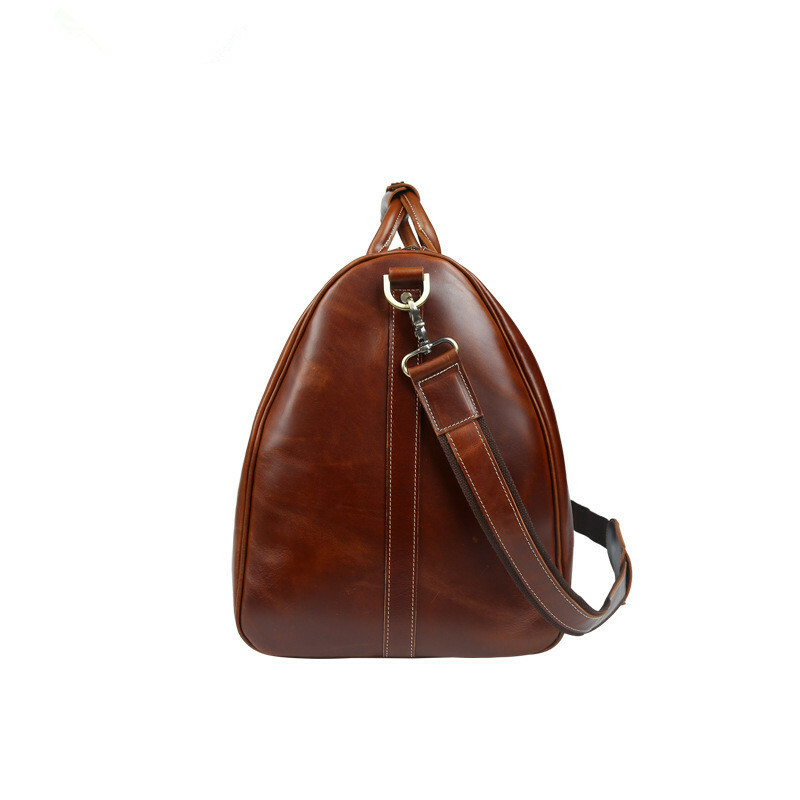 Crafted using high-quality thread and enhanced for durability with brass buckles, buttons.. The Product Dimensions Is 22.83*12.99*11.02 inches. Durable and smooth zipper and Magnetic buttons in top hand hoders. A lock on the outside zippers. 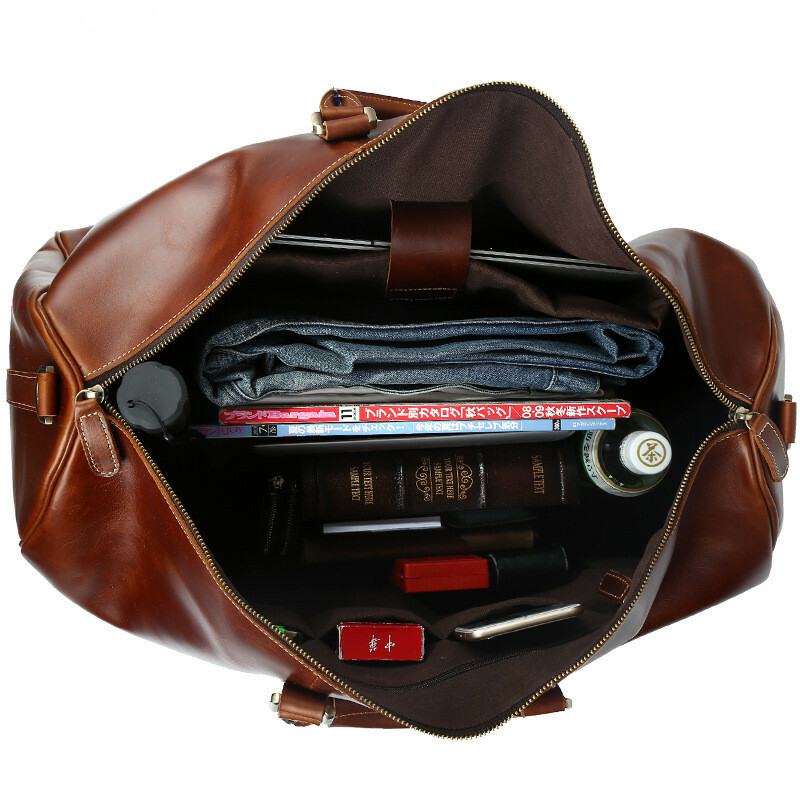 1 inner pocket for your Pc, 1 inner pocket for your Ipad, 3 inner pockets for your smartphone,key,wallet,etc. 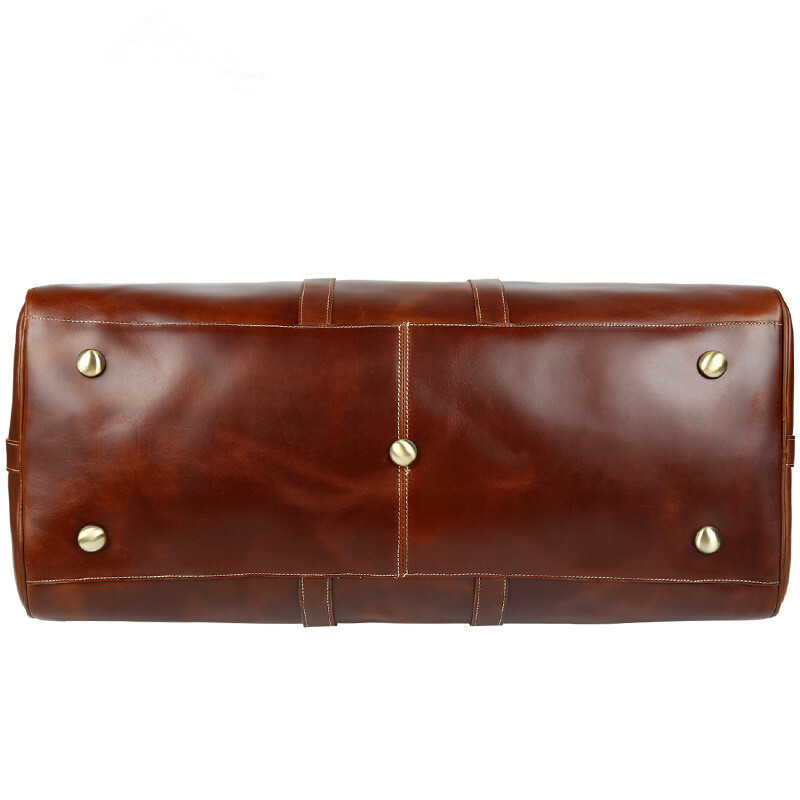 This leather bag is rubbed with vegetable oil for smooth finish and rich/natural look. 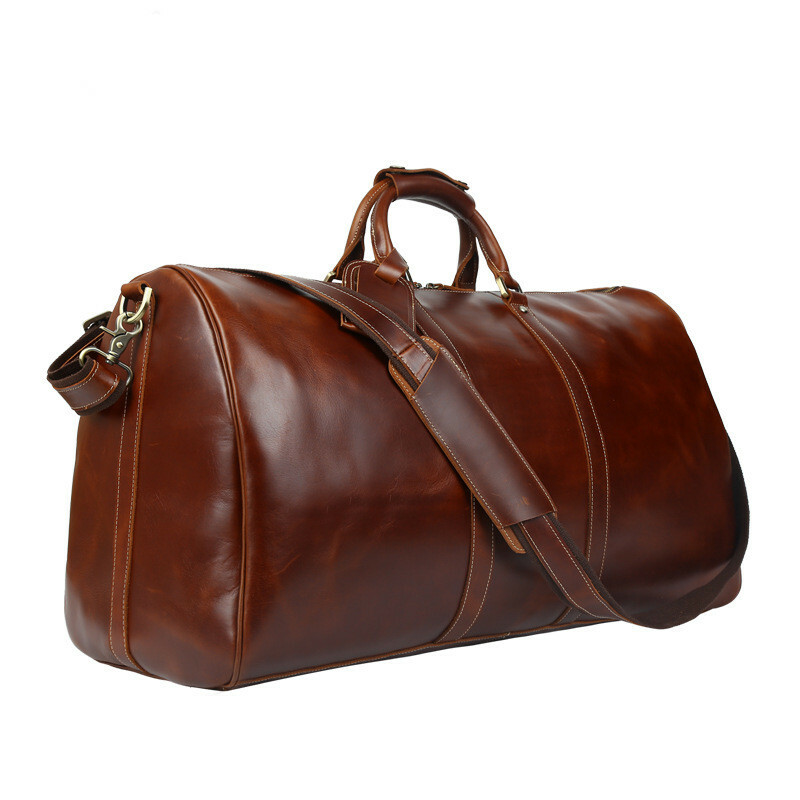 It has an adjustable shoulder strap and a handle to offer multiple carrying options.If you want a duffel bag that gives you more than what a bag is then you need not look beyond.